When Dennis and I got engaged in 2013 we’ve decided to have a family as soon as possible. We were both in love and happy and knew that if it happened it was meant to be. We wanted to have a baby since the day we first met, but I am more traditional in that sense and like the stages in life. I wanted to be engaged and then get married and then look forward to starting a family. I’ve always been that way, so after our wedding in May 2014 we have been trying to conceive. But since I have to go back to the Philippines in that same month (I was just in tourist visa then coz I haven’t done and passed my Dutch Civic Exam), the plan was postponed until my arrival back in October. Okay, so we’ve been trying to conceive the moment we’re both together again. No, I wasn’t watching my watch and running to the bedroom to bang him like a desperate woman, but what I did is I downloaded an app on my iPhone that helped me keep track of when my menstrual cycle would begin and end and about when I would start to ovulate. In that way we could plan when to do the “you-know-what”. Our life changed on the morning of Jan. 30th. 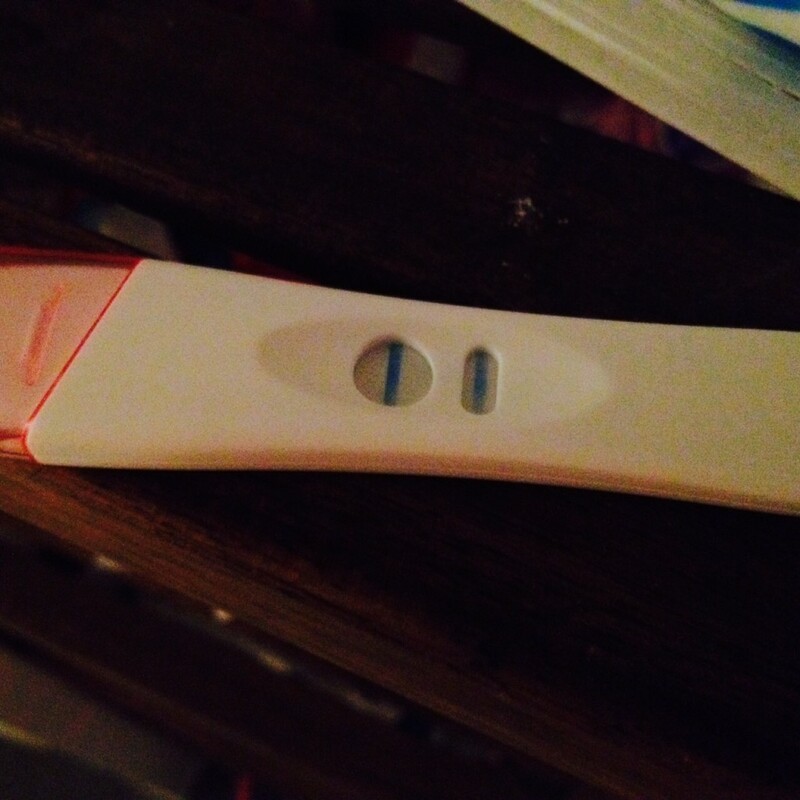 As my period was late by two weeks, I knew something was brewing inside me. Still, I had my doubts because I was never sick at all. No nausea, no vomiting, back pains, no nothing although I have to concede that I got tired and sleepy more often and my breast was terribly sensitive. Dennis finally bought a Pregnancy test kit to stop our speculations. After few minutes, two bright blue lines appeared on the test stick. I am pregnant! The shock and disbelief soon turned into joy and gratitude. Both of us were very happy of course but we kept the news within the family members and very close friends first because the first three months simply has higher risk of miscarriages. We planned this and we were super happy that we will become parents soon! We held our breaths for the next few weeks. I was hyper vigilant with my body, paying attention to every tiny feeling and change. It is my first time to be pregnant and everything is new so what happened in my first prenatal visit is that I was asked about my medical history, if I am taking any medicaments, if I drink or smoke. Blood was also withdrawn from my left arm to fill up 4 small tubes which will be tested for any antibodies that will harm the baby, also to make sure that the level of nutrients is enough to support the growing human being inside me. I enjoy knowing me and my husband’s love has created a piece of each other that’ll soon be warming our hearts with every smile. Growing a life feels so powerful. It has made me take so much better care of myself. My baby isn’t here yet and is already teaching me how strong I can be in ways I didn’t know. We’re both so nervous and excited about the next few months – and the next few decades after that! I feel like all we really know is that about everything is about to change. And that our biggest adventure is about to begin. I’m a 20-something Pinay, wife of a Dutch guy with interest in traveling and photography. I usually blog about my daily encounters and make it as interesting as possible. I also like to read books and eat a lot of mangoes.